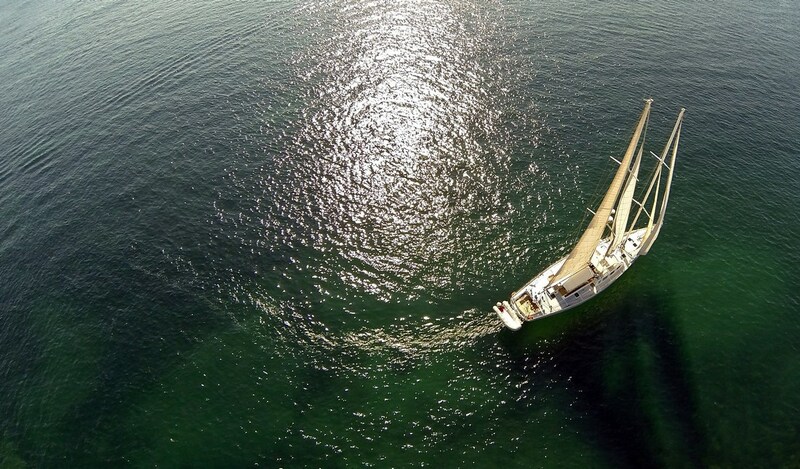 Dame des Tropiques is a luxury schooner measuring 28,00m (91' 10"). 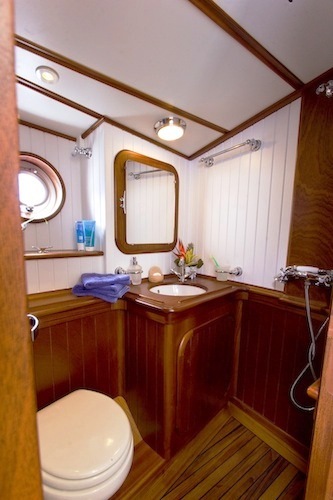 She was built in 1990 by CNC and was totally refitted in 2009. 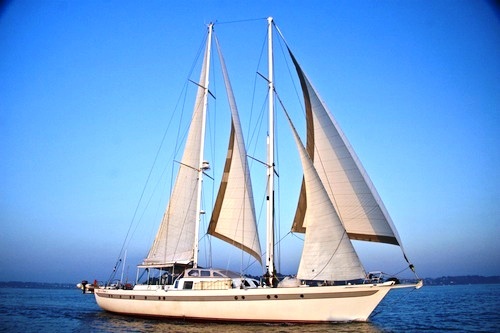 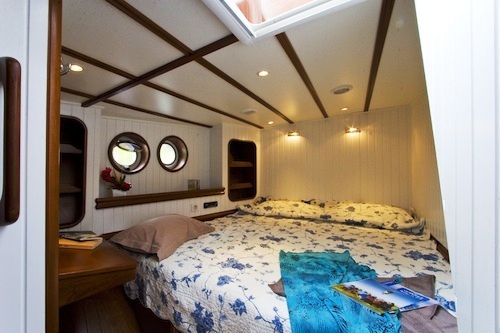 She is able to accommodate up to 12 guests in 6 air-conditioned cabins. 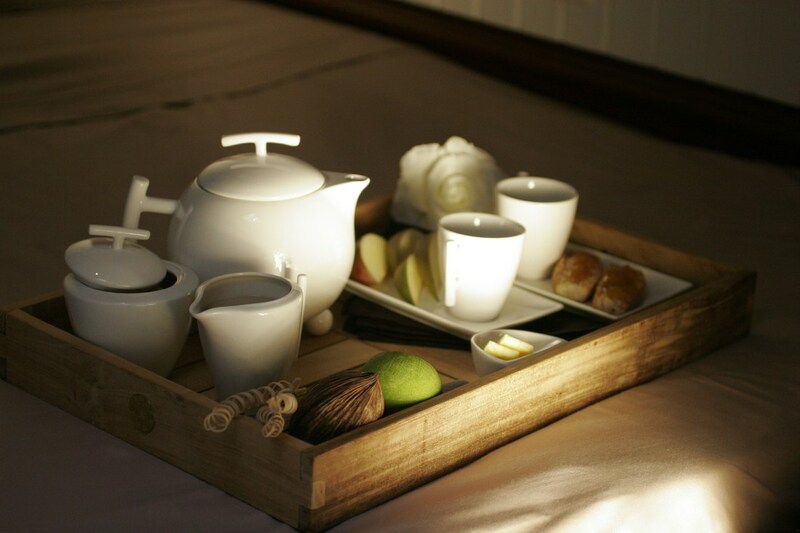 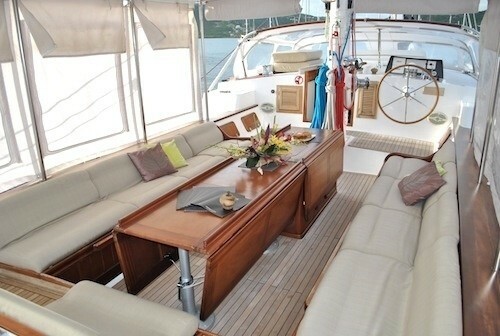 Her salon, located on the main deck has plenty of natural light complemented by polished wood and leather couches. 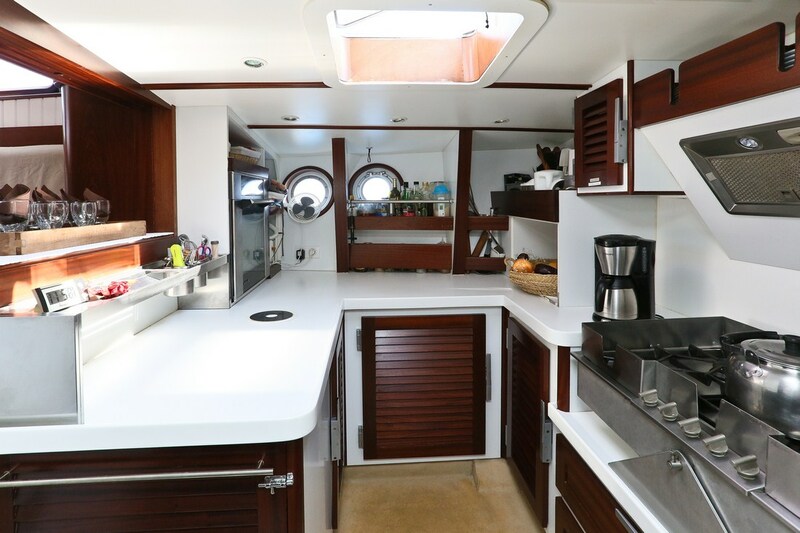 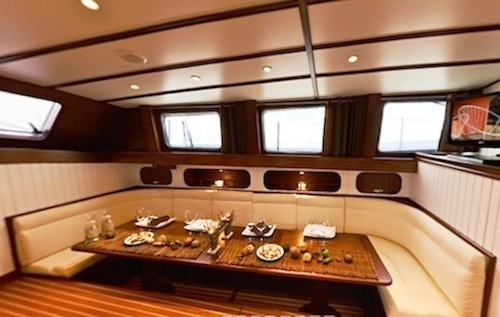 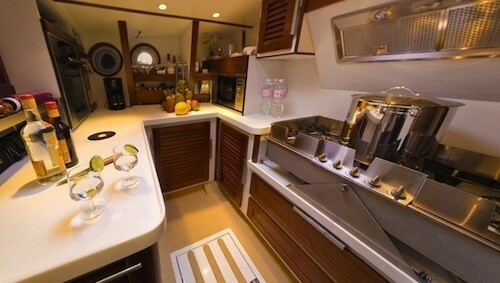 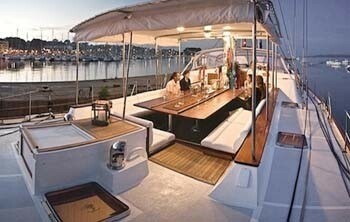 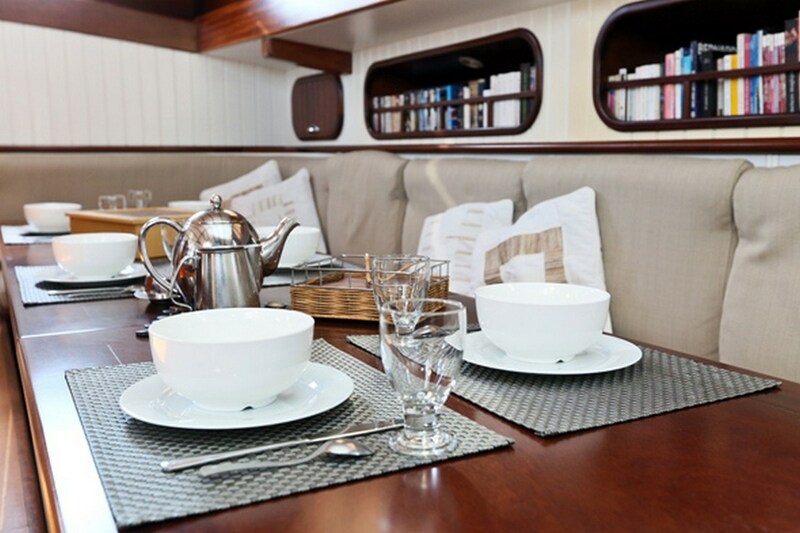 There is a u shaped dining area to starboard with a sitting area to port. 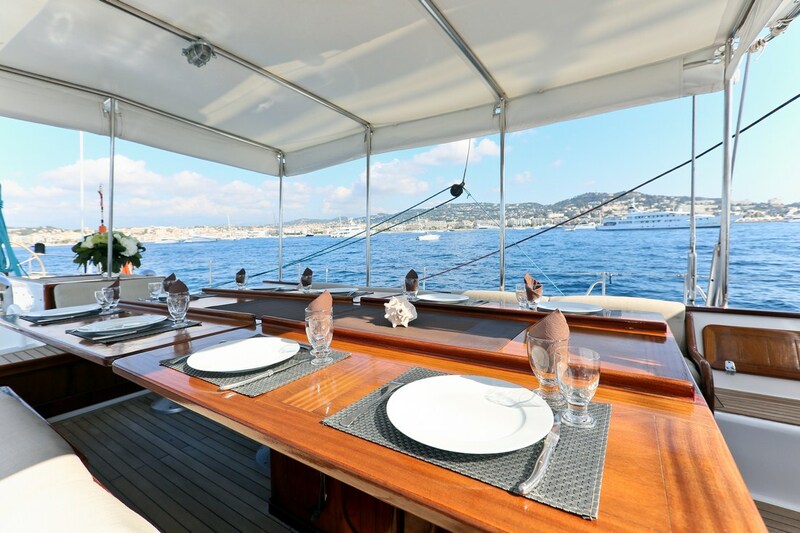 Dame des Tropiques has a cockpit area that is the perfect spot to enjoy the wind on your face while sailing. 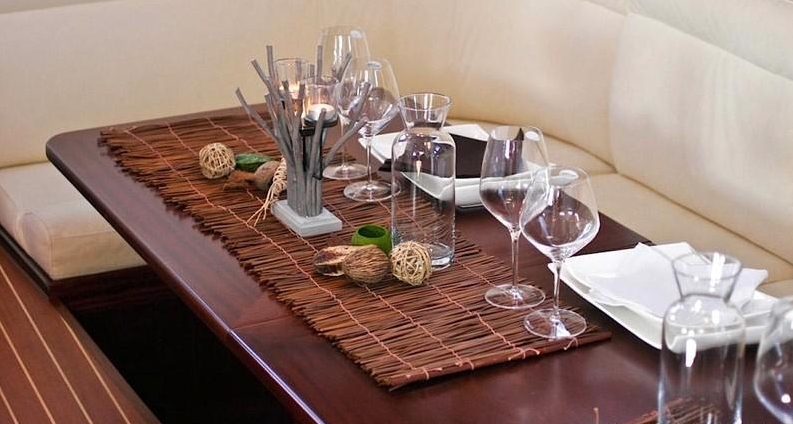 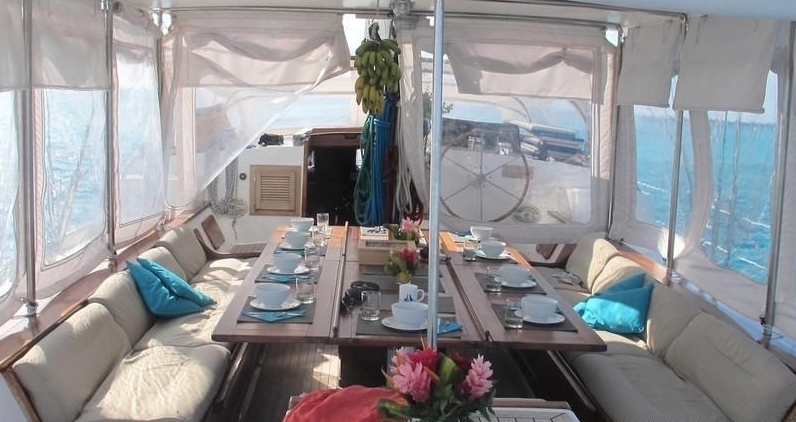 It has a bimini top so it is ideal for al fresco lunches and dinners. 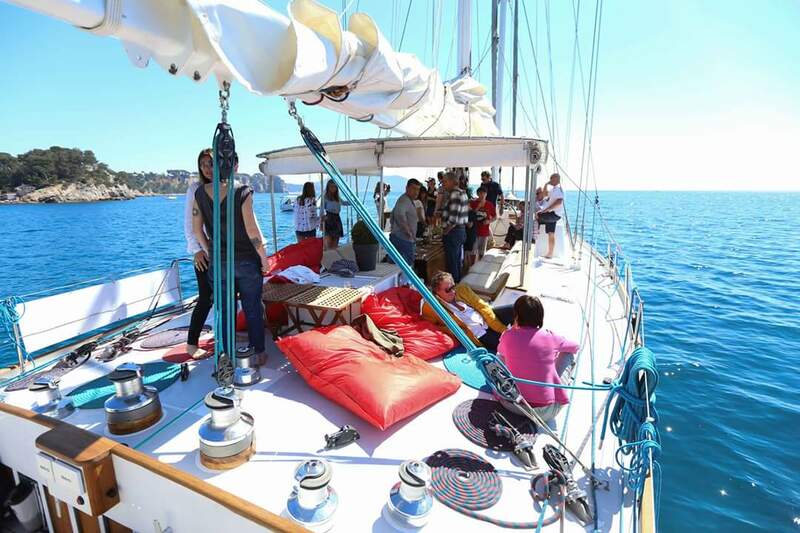 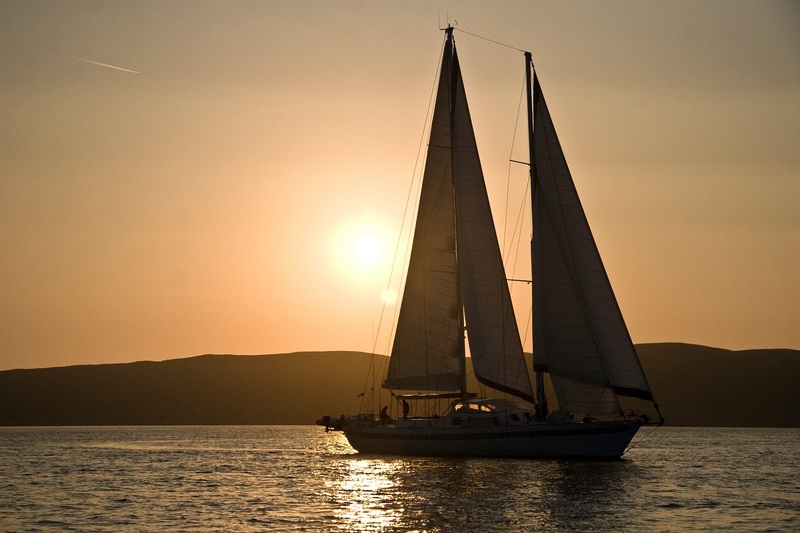 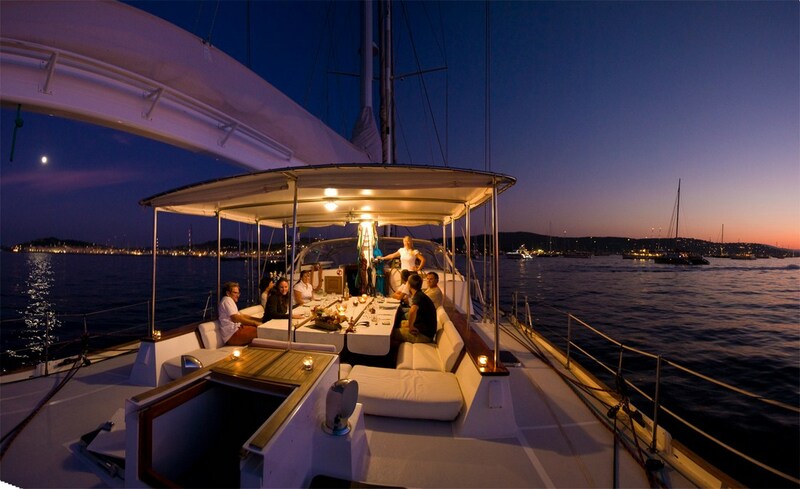 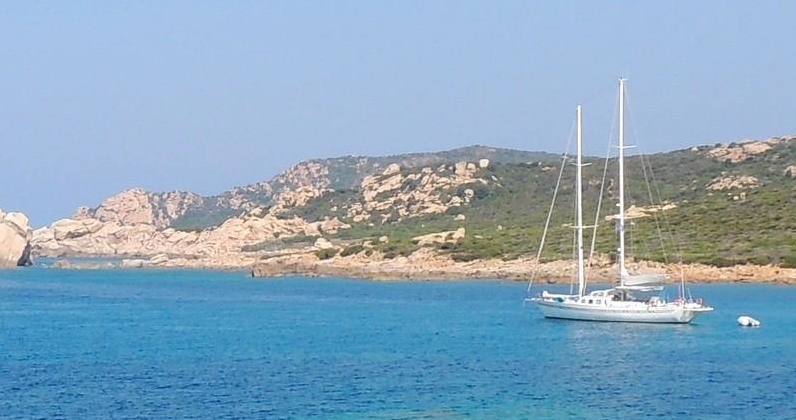 Dame des Tropiques is able to accommodate up to 12 guests overnight and 20 guests cruising during the day. 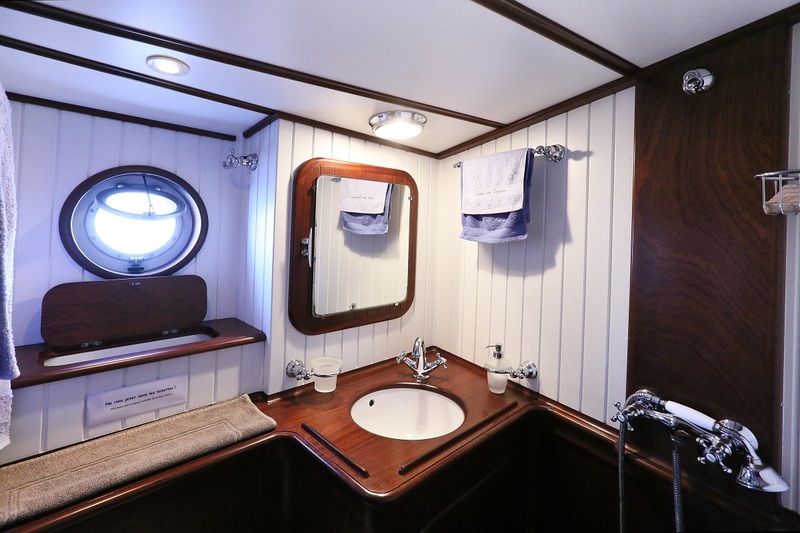 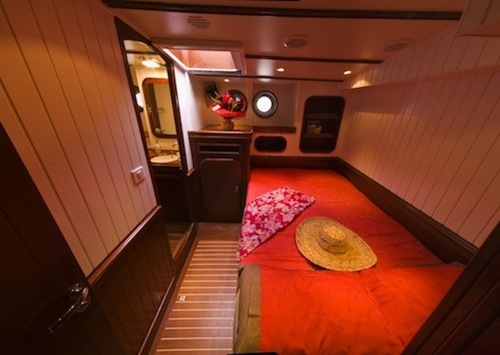 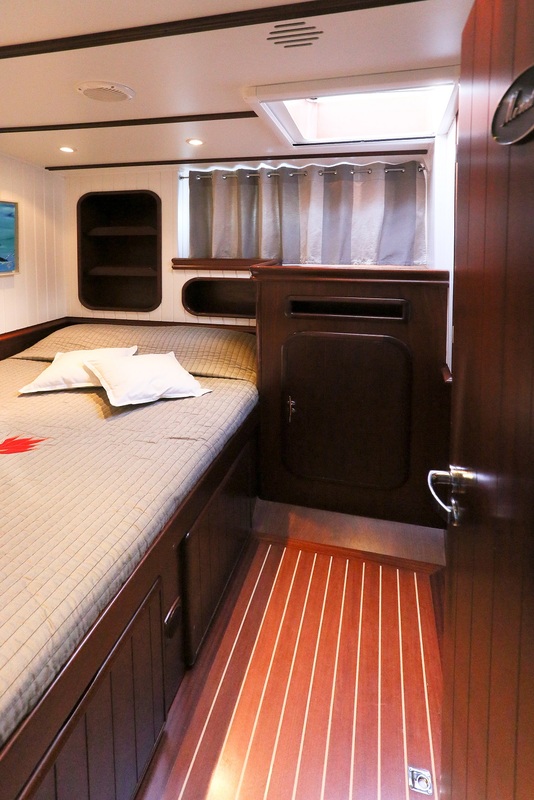 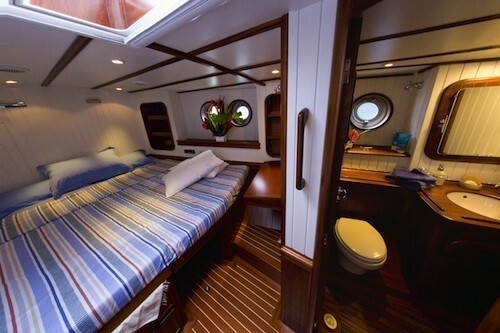 Her overnight accommodations consist of 6 double cabins all with ensuite bathrooms and air-conditioning. 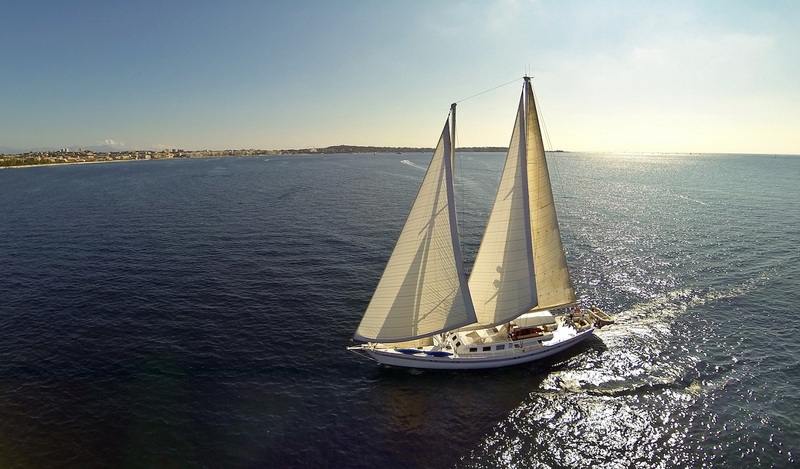 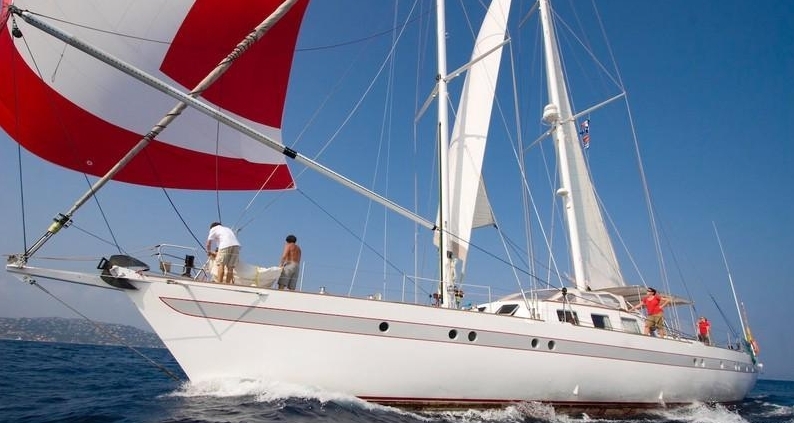 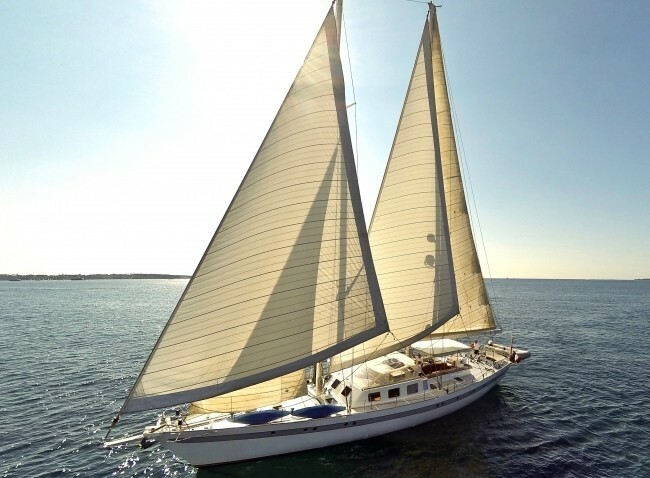 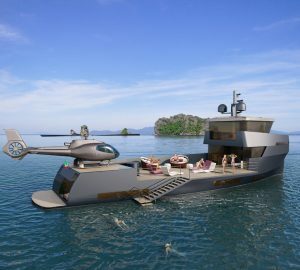 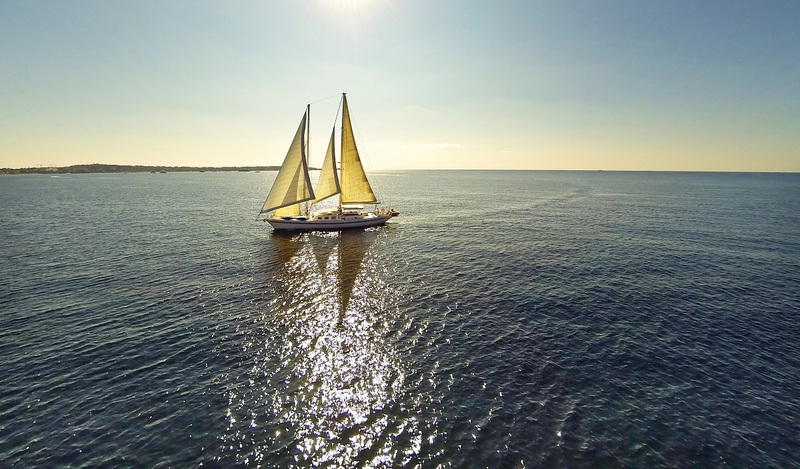 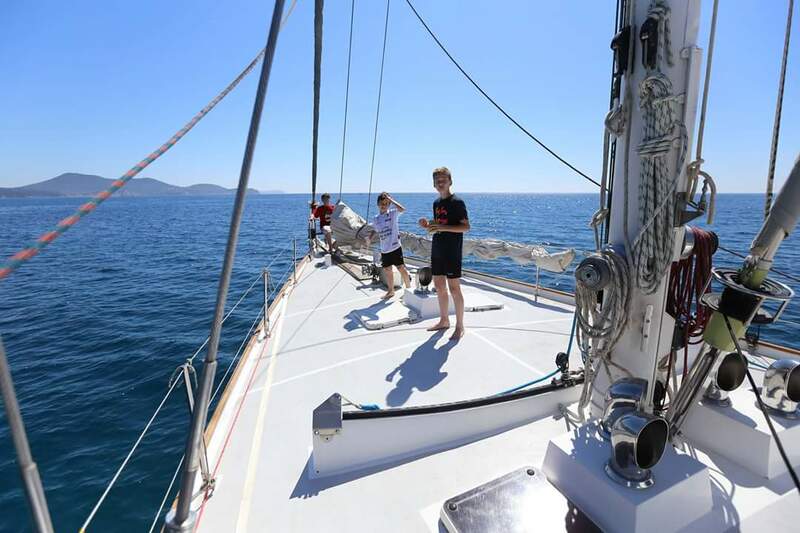 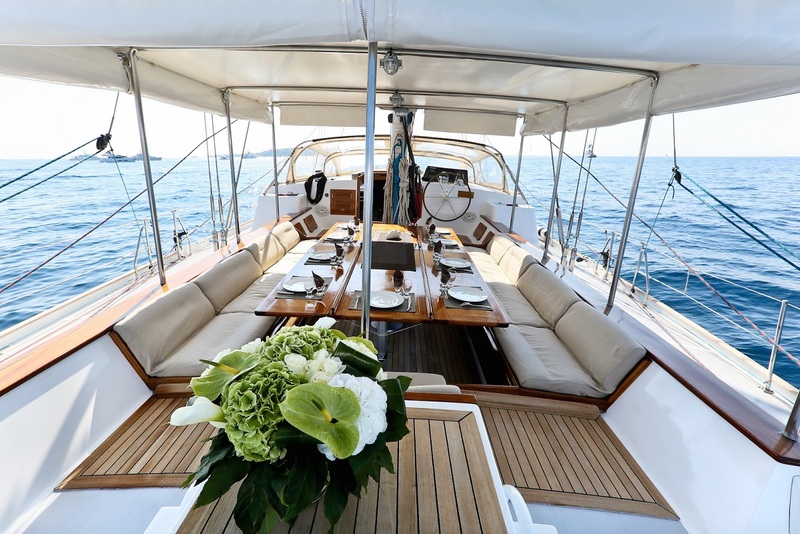 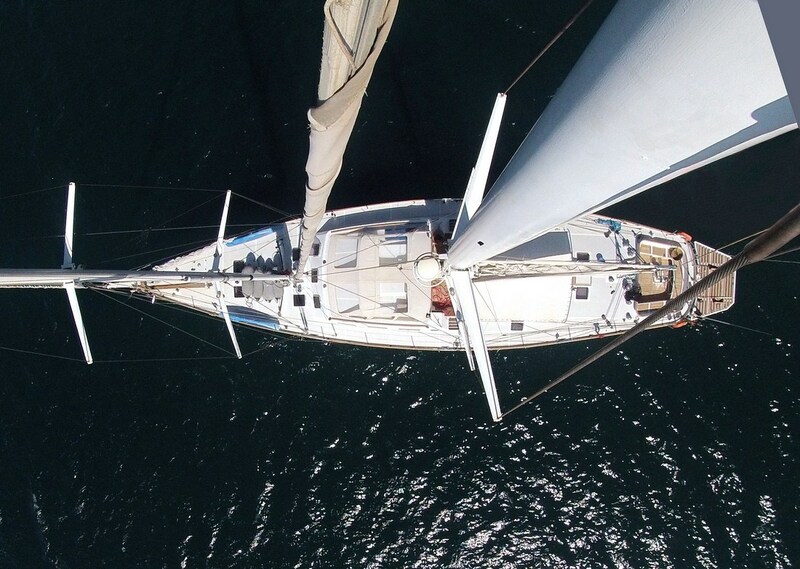 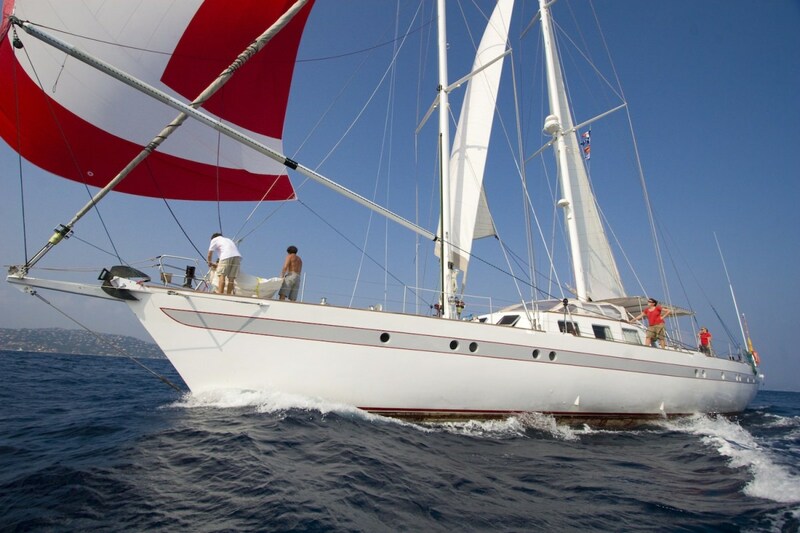 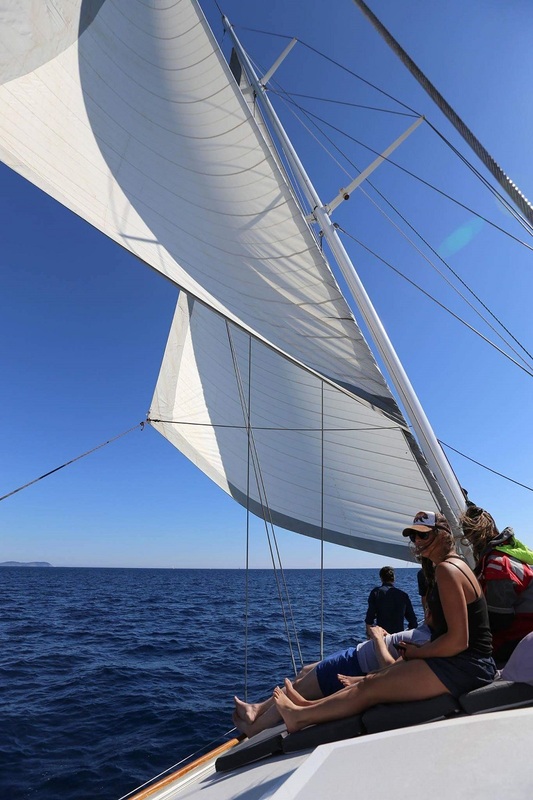 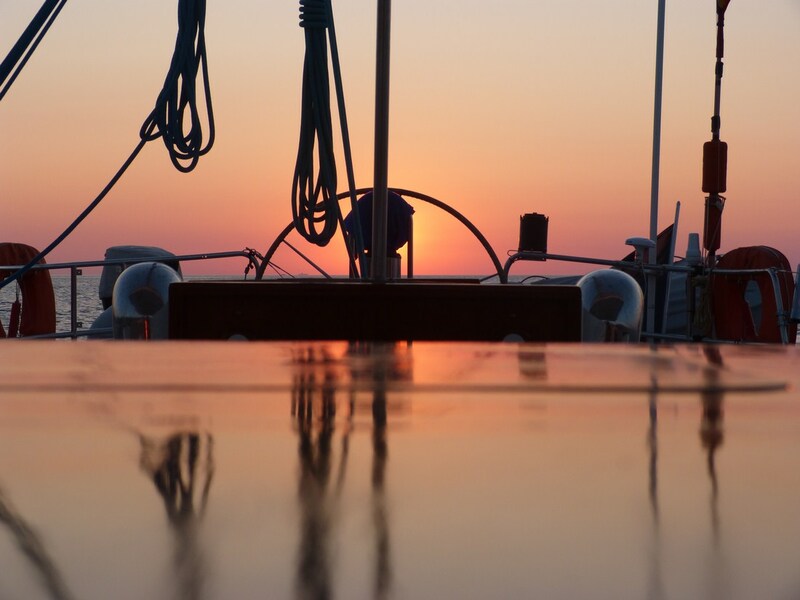 CNC sailing yacht Dame des Tropiques has the following extras and amenities onboard: a Dinghy, water skis, wake boards. 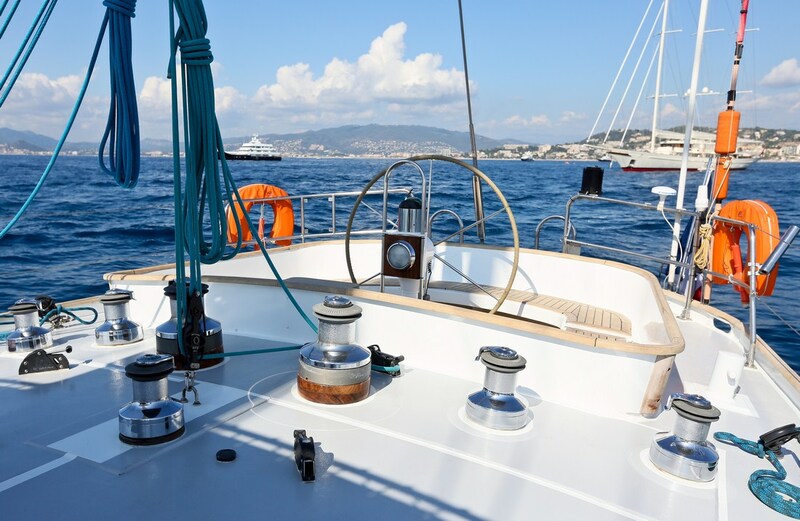 Communications include GSM, email. 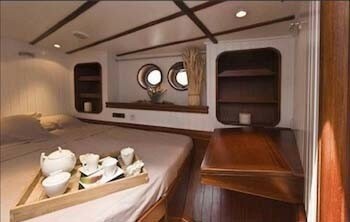 Audio Visual Equipment and Deck Facilities include TV-DVD-HiFi.